While the author's style was a little redundant at times, the subject matter and characters in this book were fresh and uncensored. 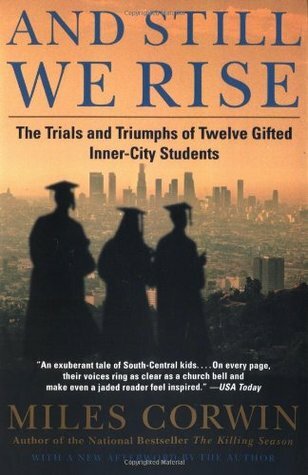 Seeing the senior year of high school in a gang and drug ridden neighborhood in east L.A. through the eyes of twelve inner city kids and their teachers was mind-blowing at times. The hurdles that these motivated, yet human kids, have to jump through is astounding. A good read..definitely recommend. Sign into Goodreads to see if any of your friends have read And Still We Rise.